This long-awaited project presents the results of a major research effort to determine the parameters of the stylistic variability of Arab folk music in Israel. Central to this old and highly improvised musical tradition is a unique modal framework that combines the concept of maqam—the foundation of Arab music theory—with other characteristics, including those of the text. Palestinian Arab Music is a comprehensive analysis of this music as actually practiced, examining both musical and nonmusical factors, their connection with the traits of individual performers, and their interaction with sociocultural phenomena. Working initially with their own 1957 invention, the Cohen-Katz Melograph, and later with computers, Dalia Cohen and Ruth Katz recorded and digitized several hundred Palestinian music performances. The authors analyzed the musical tradition in light of its main variables. These include musical parameters, modal frameworks, the form and structure of the music, its poetic texts, and aspects of the social functions of the tradition. As a result of their study, the vexed aspect of intonation in practice is revealed to exist in a special relationship with the scale systems or maqamat, which are in turn of great importance to organizing the music and determining its modal systems. "Palestinian Arab Music is a milestone in scholarship. 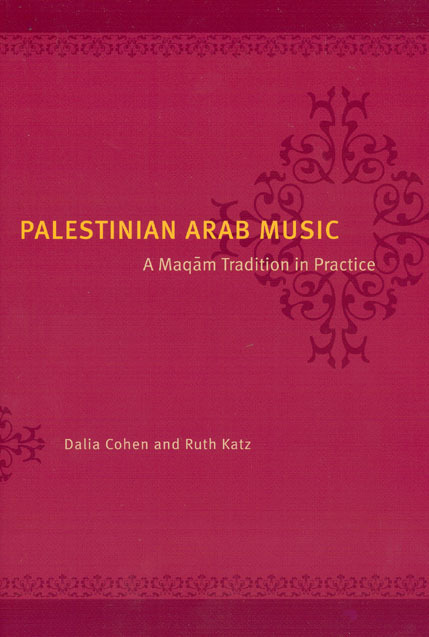 With great sophistication Dalia Cohen and Ruth Katz apply modern technological tools to decipher, measure, and describe musical Palestinian performances, and thereby address issues of aesthetics, of individual creativity and traditional conventions, regional differentiation, and contextual factors in the production of music. Their quantification of qualitative musical values avoids the mechanic analysis and insightfully describes Arab singing as a multi-dimensional cultural performance. The application of their method to musical performances in other cultures and other regions will open up new horizons in the study of folklore and traditional music." "It is delightful to see the results of the authors’ decades-long study of Palestinian Arab music. Working on their systematic collection of songs recorded in the 1960s and using a variety of analytic tools, Dalia Cohen and Ruth Katz here provide a remarkable example of methodological and analytic sophistication that will delight those interested in the analysis of sounds and in ethnomusicological methodology."